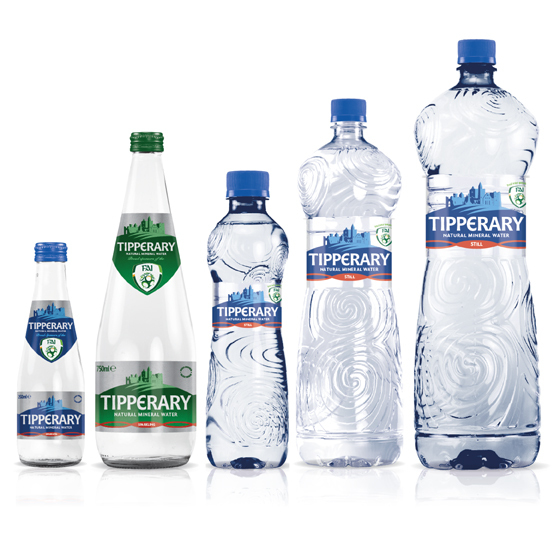 Tipperary’s sponsorship of the Football Association of Ireland underlines the brand’s focus on excellence, purity and togetherness. 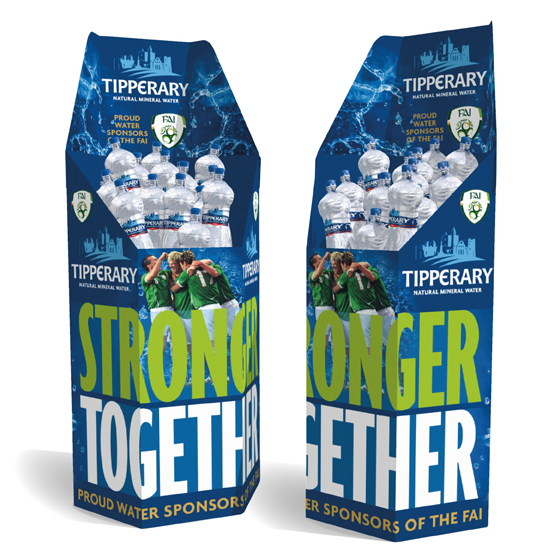 By supporting one of Ireland’s best known and most loved sporting institutions, Tipperary demonstrate their commitment to fostering community, developing talent, encouraging teamwork and coming together with like minded people sharing a common goal. 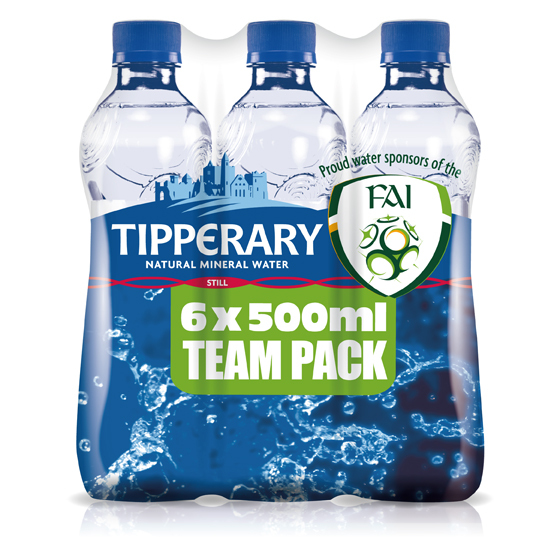 We developed special edition packs for the 500ml, 1.5L and 2L still water, commemorative labels for the still and sparkling dining out range a well as new ‘team’ multipacks. 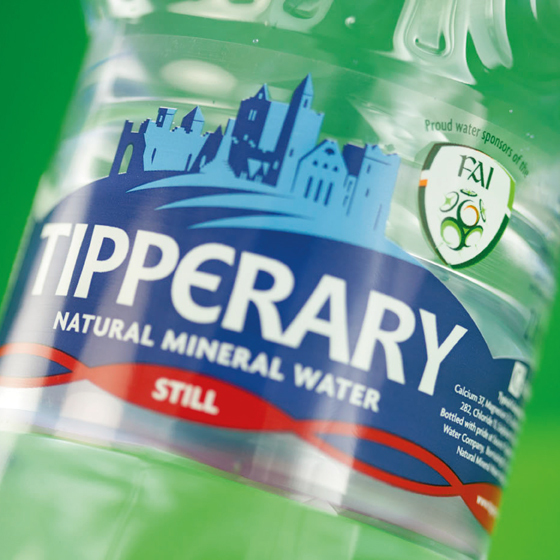 The campaign was kicked off in style by a high profile ‘stronger together’ POS suite.